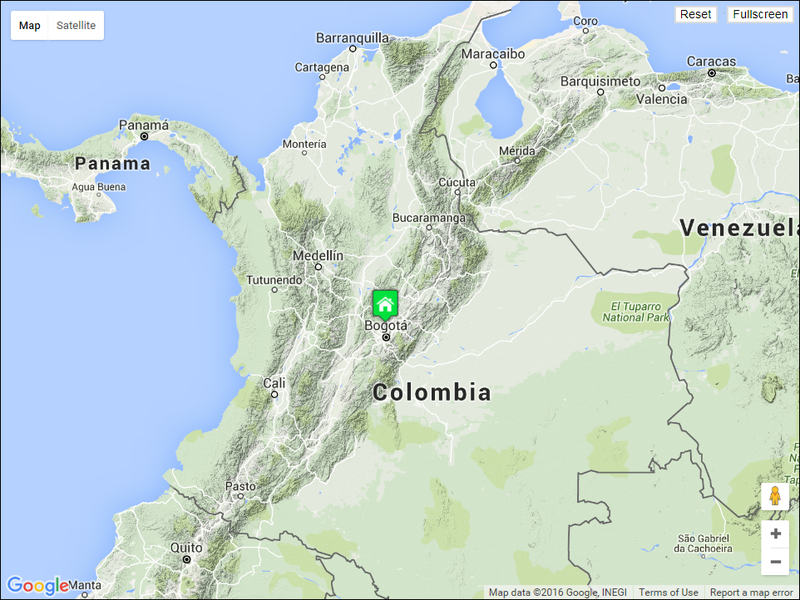 Colombia our 33rd country achieved! We spent the last four nights in Panama City. Our friend Jesse who is backpacking was there so we had good times touring the city with him. 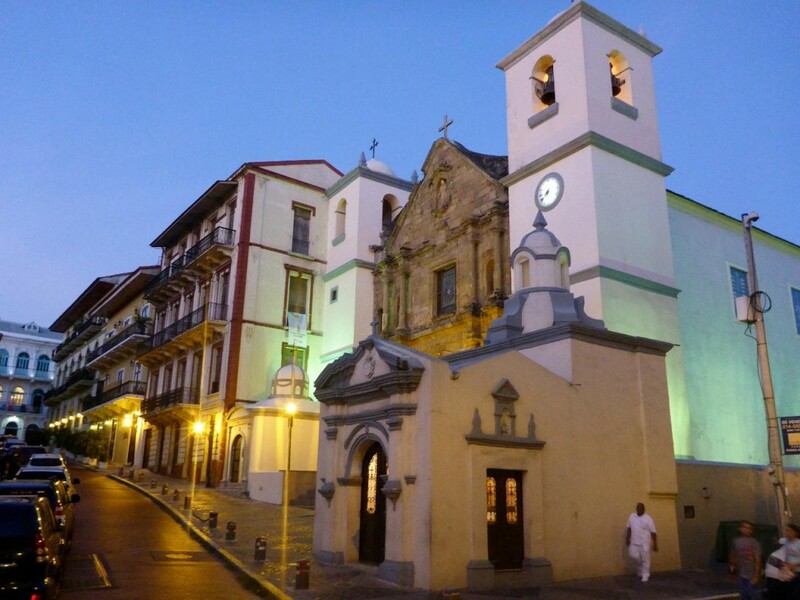 Panama City has one of the coolest skylines in the world and our location in Old Town was excellent. 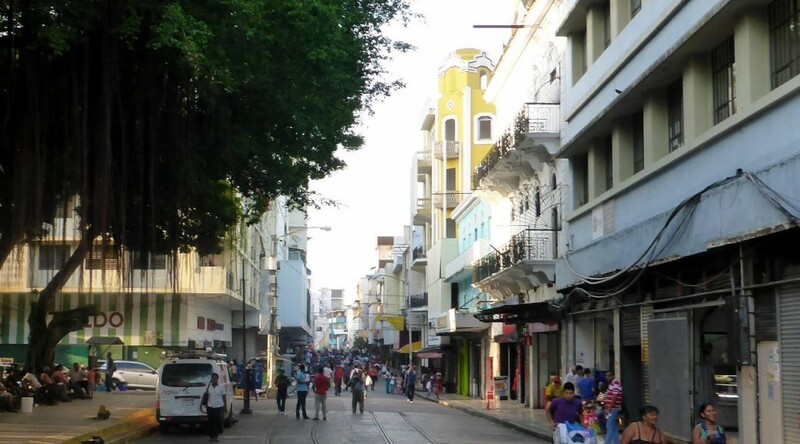 We toured the city with the “hop on, hop off” big red double decker bus, took a taxi to the Mira Flores lock on the Panama Canal and spent a morning watching the ship traffic, and had many fun meals together. As I said before it is fun to spend time with people we meet along the way. Jesse flew to Buenos Aires Argentina and us to Bogota, Columbia. Because of the Darien Gap between Panama and Colombia crossing by road doesn’t exist. The Darien Gap is a jungle full of dangerous wild animals and insects, drug trafficking, indigenous Indians that don’t take too kindly to people, and kidnappings. 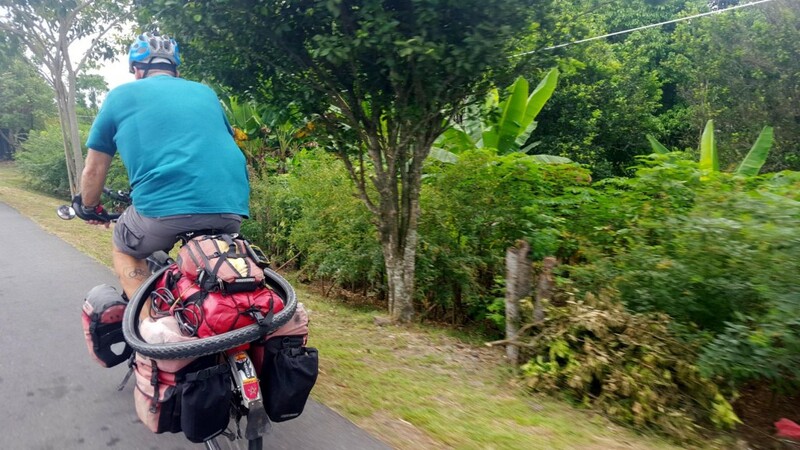 People and bikes have crossed it with a machete but very few. 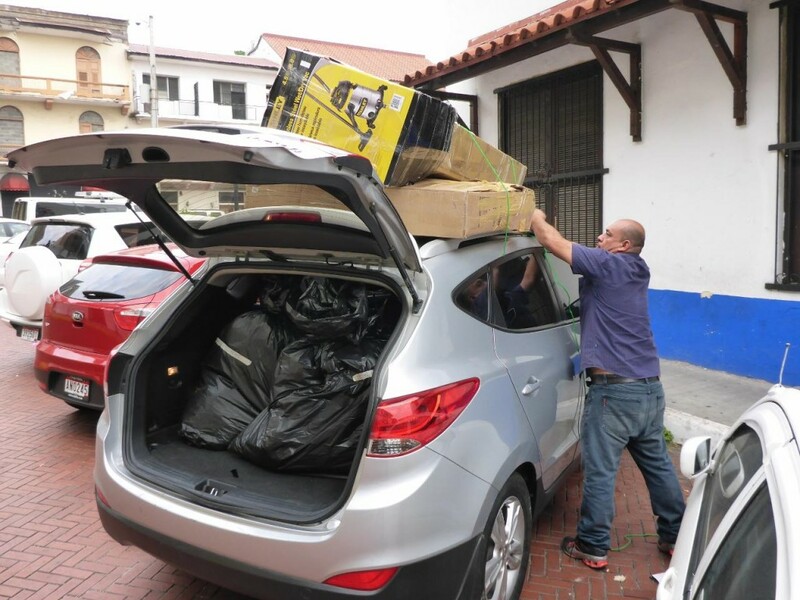 It is the only interruption in the 19,000 mile Pan-American Highway. 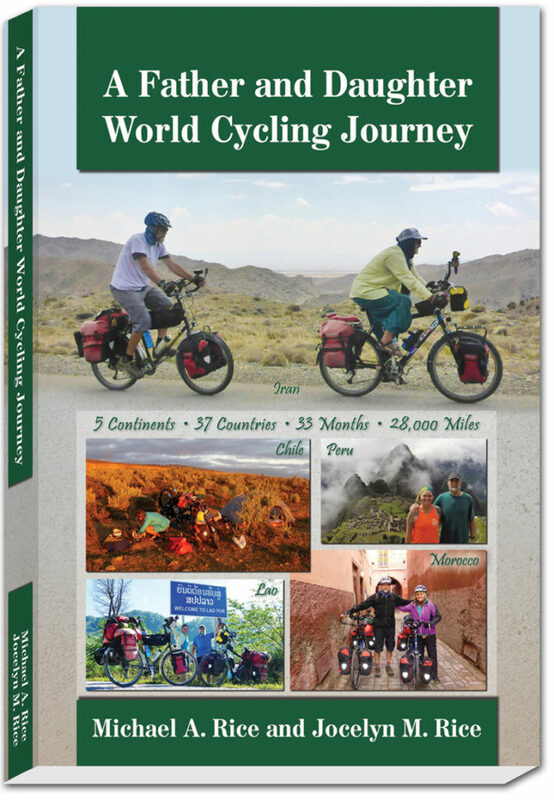 At only 90 miles it is a whole different world. 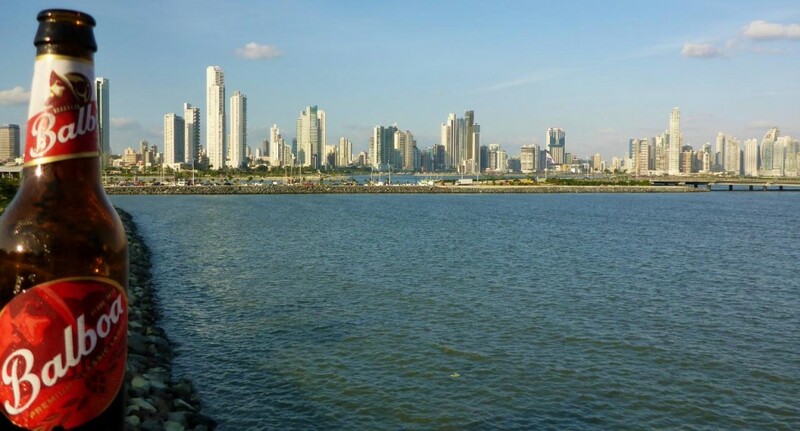 There used to be a ferry from Colon, Panama on the east side of the Panama Canal to Cartagena, Columbia. But this doesn’t exist anymore although many sailboats take the eastern coast along the San Blas Islands. 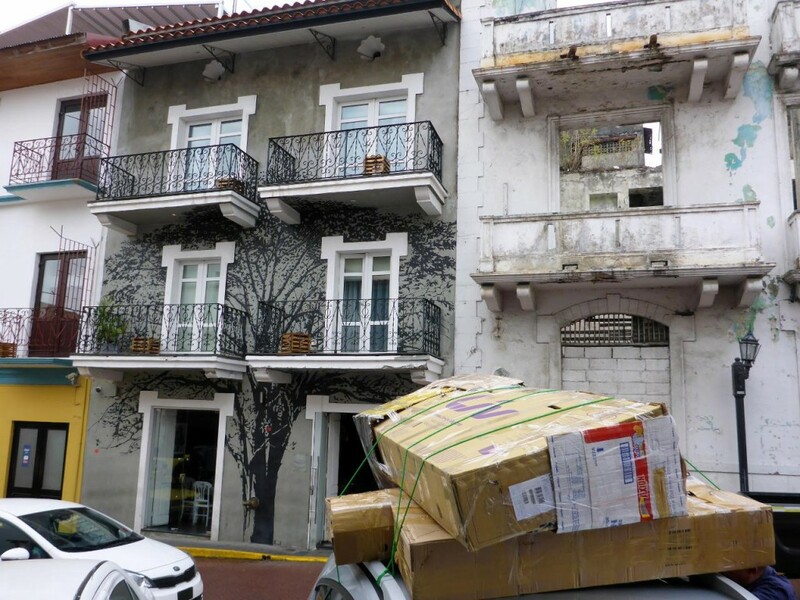 We tried to get on one of these sailboats for a grand 5 day adventure down the coast but the boat captain cancelled due to weather – this time of year it is very windy on the east coast of Panama. So we switched to another boat who at first the captain said he would take the bikes but then changed his mind. 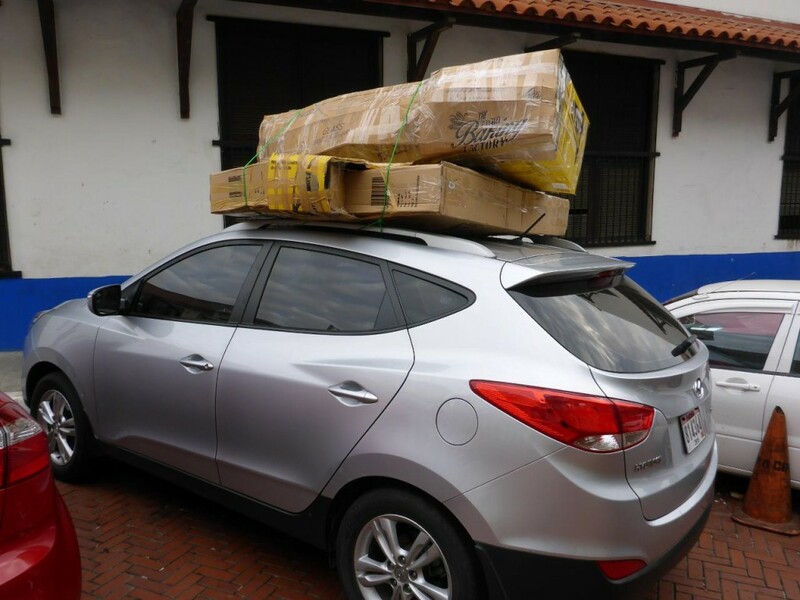 Since the next boat trips were not available until February 6th we decided to get out of town and fly to Bogota. 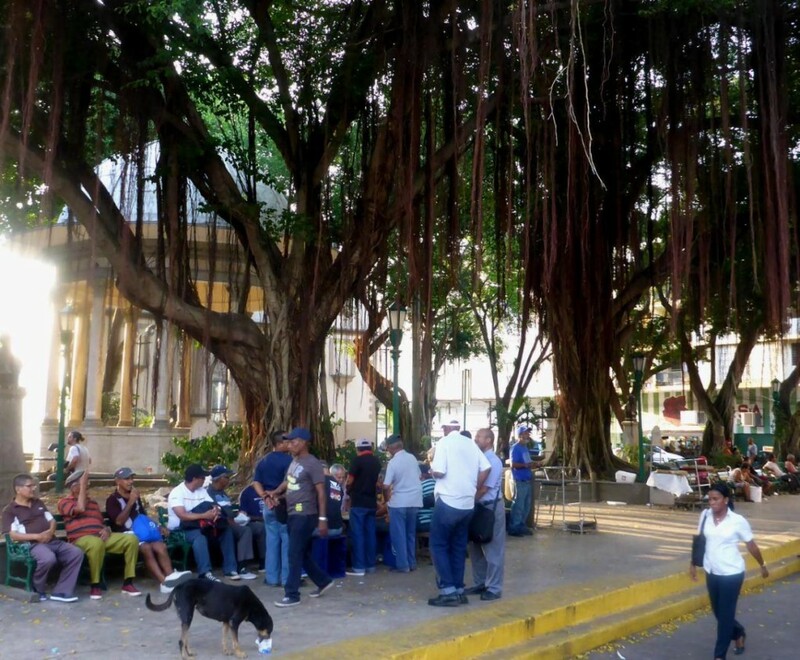 Our first choice was Medellin, Colombia but that plane on Viva Colombia Airlines didn’t leave until late afternoon meaning we would not get out of the airport until after dark. The Bogota flight left at 11:45 so we flew a little further south. 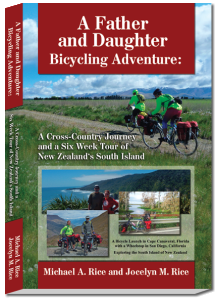 Yesterday we boxed our bikes and bagged all our panniers. 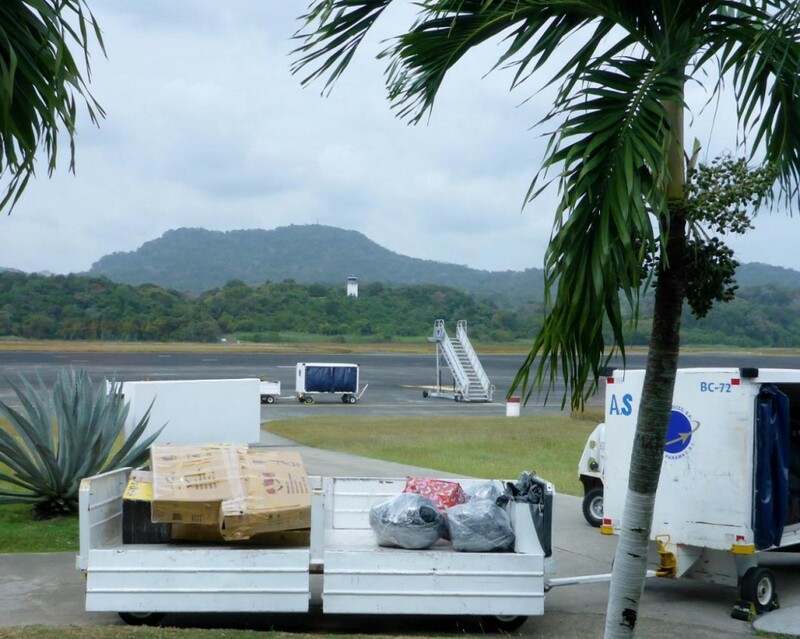 The Panama City Airport was very stringent on checking everything unlike other parts of the world. We had to jump through a few hoops and it took over 2 hours to finally get through security after checking in our bikes and bags. The total coast was about $500. The sailboat trips are about that for one person. 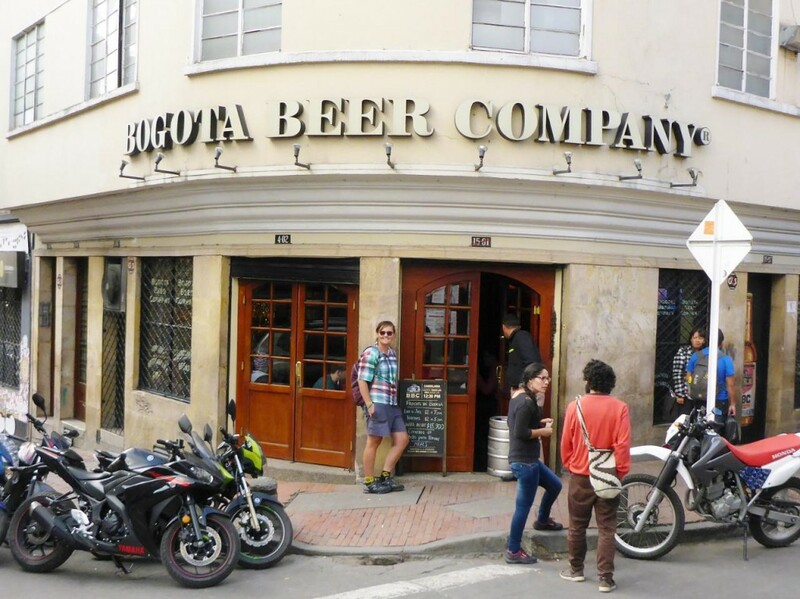 We will spend a few days in Bogota exploring then get back to riding south. Jocelyn achieved her 6th continent which is quite good for the age of 25. I’ve been in South America before and since I do contract work in Antarctica I have all 7 continents under my belt. 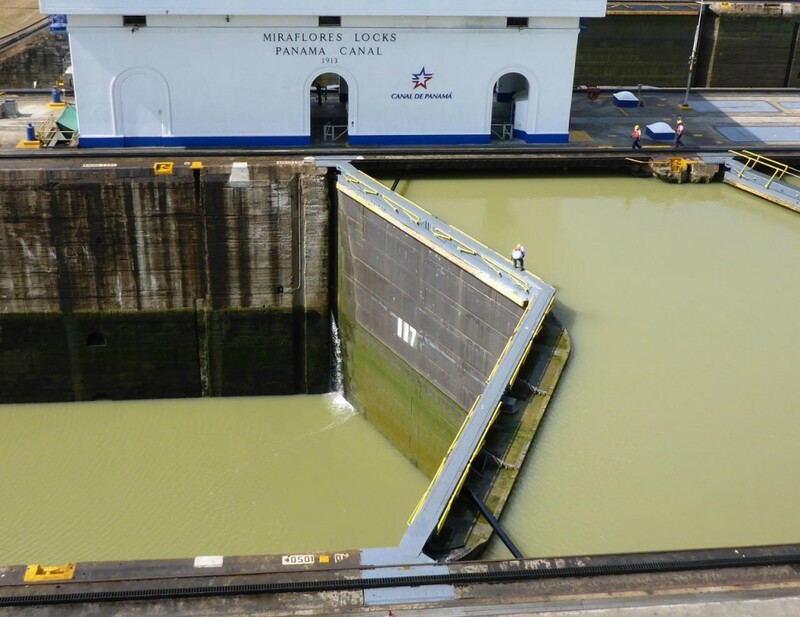 A ship transiting the Panama Canal in the Mira Flores Lock. The water drops 27 feet. Going opposite ways. It was a fascinating morning watching the ship traffic. 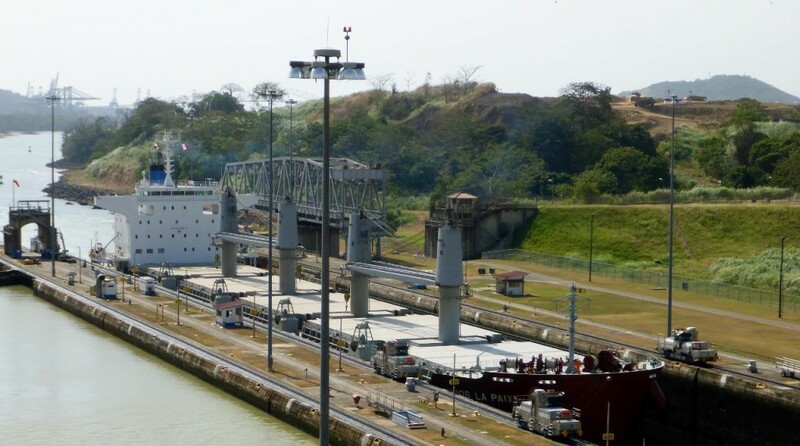 I transited the Panama Canal in 1998. 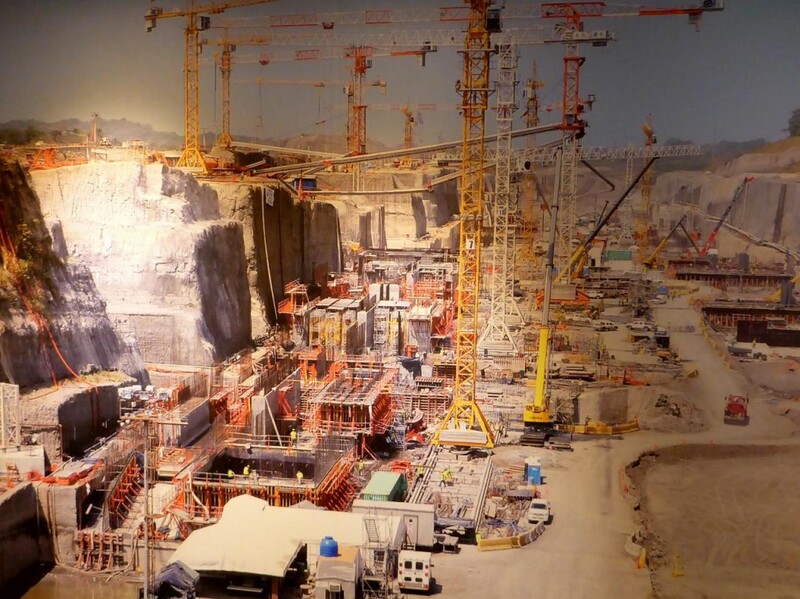 Current ongoing work of the new wider Mira Flores lock. This drawing shows the current lock and the new wider addition. The current lock is 110 feet and the new one 180 feet. 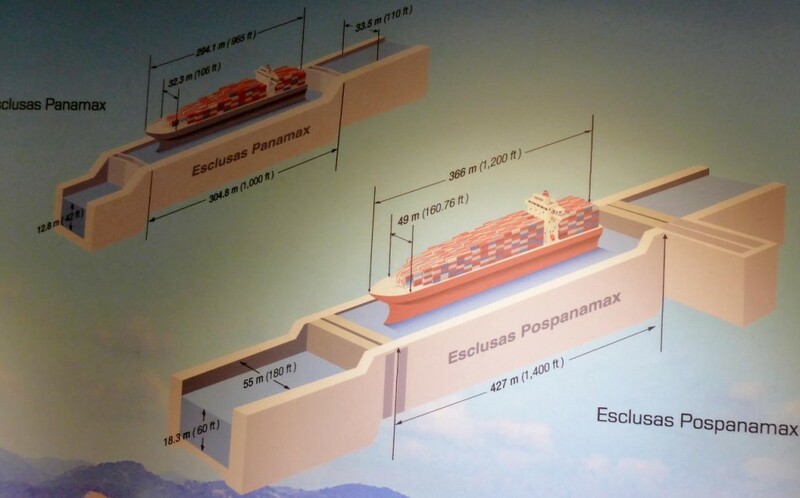 Ships will no longer need to be designed and built to Panamax 110 foot width. A fine beer and city skyline. Another Jesus bus. 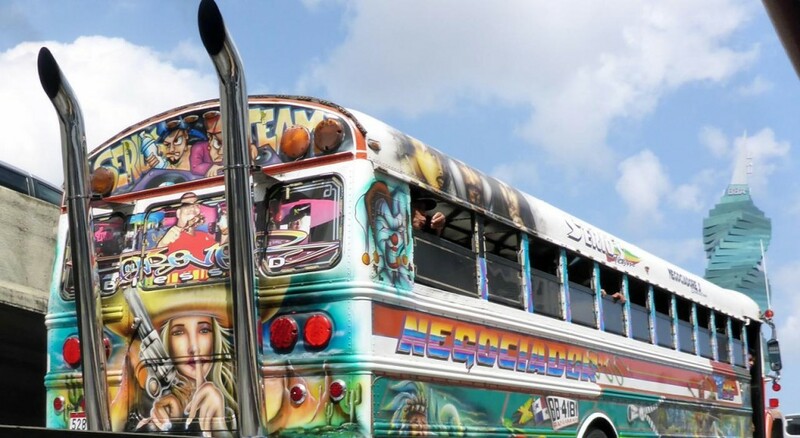 A Jesus bus has two qualifications: it must have a drawing of Jesus and strangely a small drawing of a naked woman. 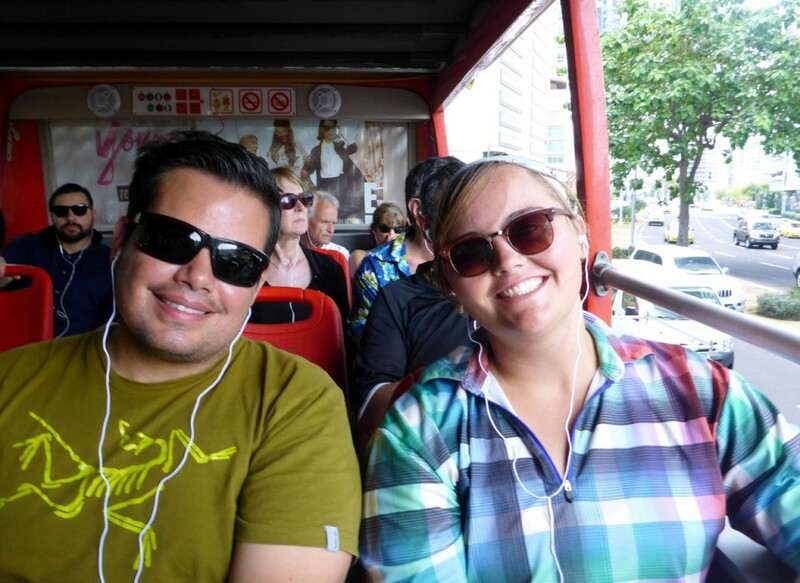 Jesse and Jocelyn touring the city on a double-decker bus. 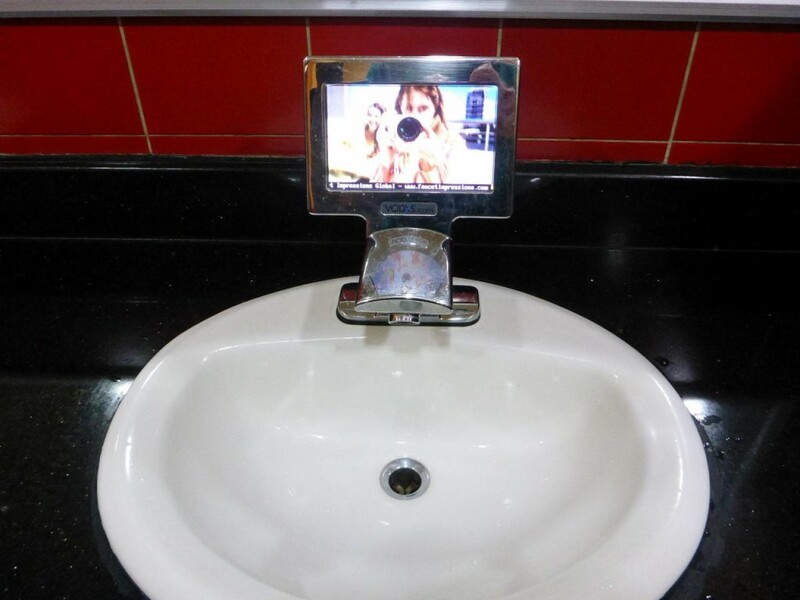 An interesting bathroom sink faucet complete with a tv. Wash hands longer perhaps. A truck full of bananas from our double decker bus. Lots of sailboats before the city skyline. A very busy shopping street. An afternoon in the park. Checkers is really big here. Our bikes are ready to go. Our new friend Jaime tying the bikes to his car roof. A fine hotel in the background. Our bikes and panniers ready for boarding. 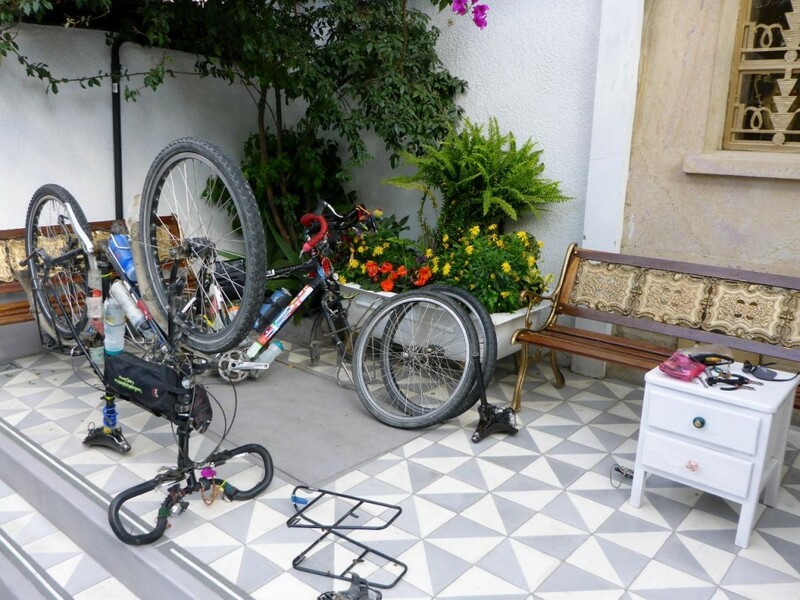 Reassembling our bikes in Bogota, Colombia. Right around the corner is this fine establishment. 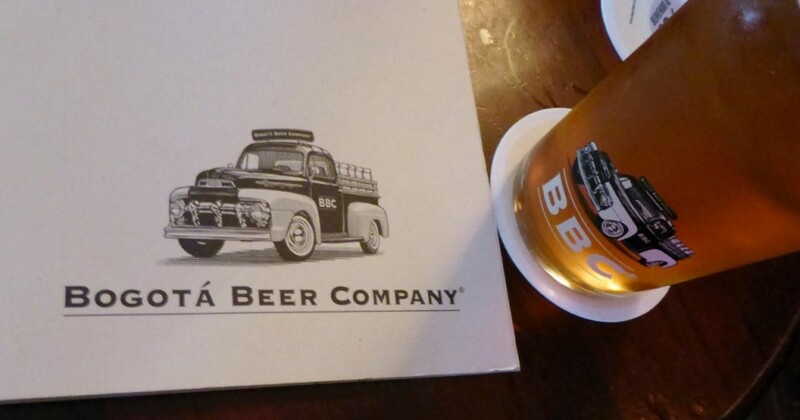 Beer and pizza for dinner! South America Achieved! 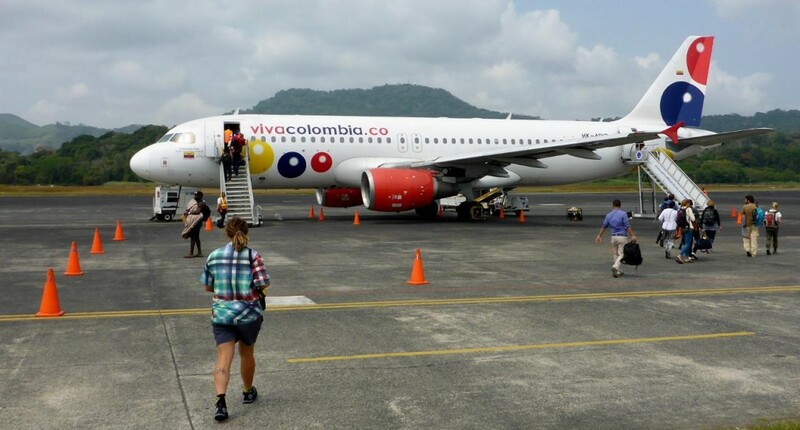 Colombia is only possible from Panama by air or boat. We were going to fly to Medellin but that flight didn’t leave until late afternoon. We don’t like being out at night.